Subaru’s smart, all-new turbocharged Levorg, which went on sale in New Zealand in July, has been awarded the 2016 Company Vehicle Medium Business Car of the Year. The Subaru Levorg is the answer to all those Legacy wagon fans, who were devastated when this iconic model was discontinued. An exotic mix of wagon utility, where wide cabin space and comfort is combined with a performance sports wagon’s power, Subaru Levorg’s 2.0-litre direct injection turbo Boxer engine produces 197 Kw of power and 350Nm of torque. “This is where a wagon comes in useful, and you don’t have to climb a ladder to put your paddle ski or bike on top,” Mr Oxley says. 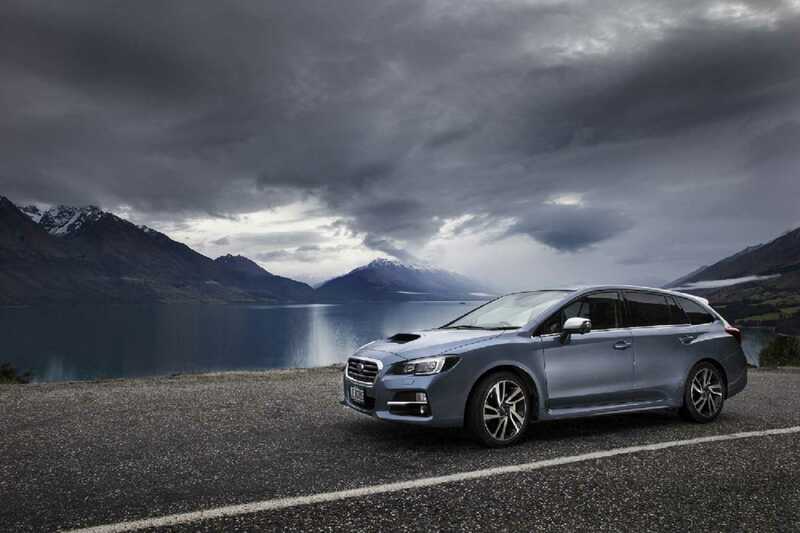 Other features that made the Subaru Levorg stand out from its rivals for the Company Vehicle award, were its satellite navigation, blind spot monitoring, cross traffic alert and award-winning EyeSight safety technology. EyeSight uses three-dimensional images captured by cameras mounted at the top of the front windscreen. If it sees anything that might be of danger, it warns you audibly, urging you to take action and brake. It automatically applies the brakes if you don’t. Levorg also scored points for its ability to switch from work vehicle to play wagon, with its 60-40 split rear seat that expands carrying capacity according to the owner’s needs. “And it is big enough with the seats down to put a bike in there without taking the wheels off,” Mr Oxley confirms. In the past six months, this spiritual successor to the Legacy GT wagon has already exceeded Legacy GT and WRX hatch sales in one year. In fact, the new Levorg sales exceed any combined sales of both these Subaru models for an entire year, which is a testament to its popularity with Kiwi drivers already. Subaru has struggled to meet global demand thanks to unprecedented growth worldwide, especially in the United States. Subaru of New Zealand has sold all the Levorgs it has been allocated this year but 2017 should see more of these performance sports wagons being shipped to happy Kiwi customers, as this year’s success has gleaned more production allocation from the Japanese manufacturing plant Fuji Heavy Industries.